The goal of the Faculty of Economics and the Graduate School of Economics is to foster an individual, 1) who understands and can deal with a future society in which the spread of information, globalization and an aging population continue to play a major role, 2) who possesses professional knowledge and, 3) who has acquired cultural understanding through small class education and an enriching campus life. The Faculty of Economics consists of four departments: the Department of Economics, the Department of Business Management Systems, the Department of Regional Studies, and the Department of Enterprise and Social Innovation. Student selects their department during the latter half of the freshman year through their choice of seminar. 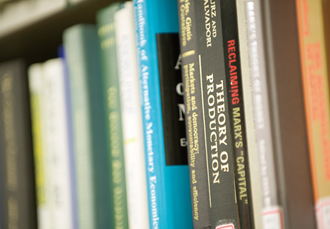 The Faculty of Economics provides an enhanced curriculum in which students can fully learn both theory and practice. For students of all grades, there are seminar classes, each of which has only about twelve students. This small class system enables students to develop individuality through direct interaction with professors. The freshman year is for basic learning. 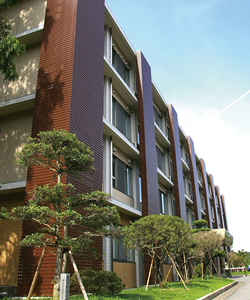 Students become oriented to the campus and their studies; this includes registration guidance. 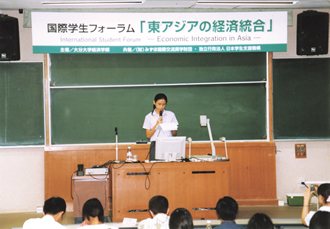 The sophomore year contains an intermediate seminar in which an introduction to each professional area is given in dialog form. Finally, the junior and senior years both contain seminars which concentrate on the development of expertise and research. 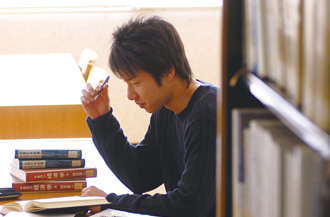 A graduate thesis is also planned and written during this period. 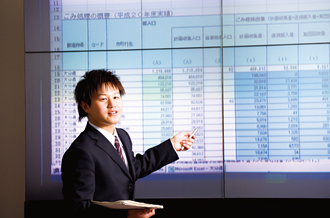 For students who wish to pursue a PhD and post-graduate study we offer the Graduate School of Economics. Here, courses of both an academic and a vocational/professional nature are offered.Within the Graduate School one of the aims of the Master’s degree courses is to foster the development of informed professionals who, equipped with a plethora of skills, can go on and contribute to society. Students are offered two general programs: Economic and Social Policy, or Community and Business Management; both of which deal with issues of internationalization, information society and regional cooperation. Within each program students are offered the opportunity to focus on a particular specialty: Economic and Social Policy or Community and Business Management. 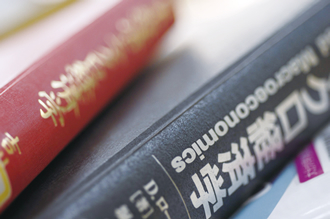 The former offers studies on International Economy and Polocy Science. The latter offers studies including Community Policy-Making, Business Management, and Accounting. Our Business Administration and Regional Governance PhD program is offered to those wishing to pursue a more advanced level of study. The goal of the program is to nurture specialists who are able to analyze complex regional, economic and social issues and formulate appropriate solutions. All applicants who are highly motivated to embark upon post-graduate and advanced level study are welcome. In recognition of this, a special entrance exam for mature students and international students is offered in addition to the regular entrance examination. Indicates the courses used as the foundation of our master course.